In 1991, after the fall of the Soviet Union, the former Soviet republics, including Kazakhstan, turned into independent states. These newly formed states found it impossible to thrive as part of the Soviet Union, thus deciding to create independent systems to solve their national, political, and economic problems alone. The construction of an independent state began in Kazakhstan and included changes in the organization of its military. 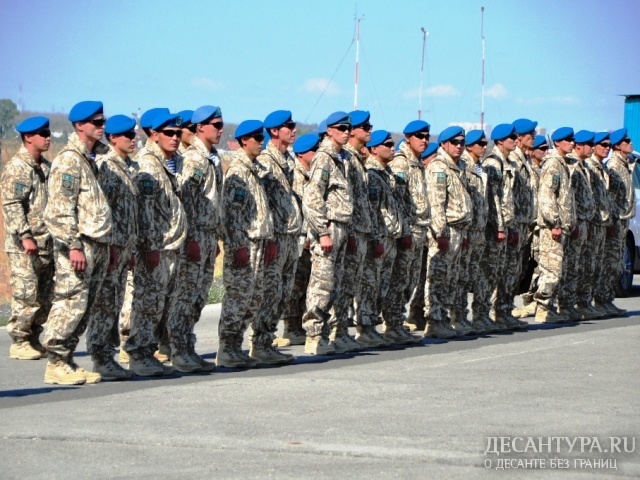 The Ministry of Defense of the Republic of Kazakhstan was established; records followed that show the establishment of military units in Kazakhstan’s newly established territory. Concurrently, there was an outpouring of officers and specialists to Russia, Ukraine, and Belarus from Kazakhstan; some military units withdrew their weapons and military equipment to neighboring states. To combat the changing atmosphere of the military sector, the number of officers in military units was increased, short-term courses were organized where officers were trained, and a large number of reserve officers were promoted. During the analysis of the state of military units and their deployment, it was revealed that the military units were part of the overall strategy of the military doctrine of the Soviet Union and deployed in confrontation in the east and south-east direction. In response to the formation of independent republics along the entire perimeter of Kazakhstan, there were threats of armed conflicts in the both the south and west. To prepare against the likelihood of an attack, the military split into four Regional Command sections: East, South, West and Astana (Central). To quickly respond to armed conflicts, Airmobile troops were created; this unit’s troops were later renamed to Airborne Assault Troops. In 2009, an agreement was signed between the CIS countries (Commonwealth of Independent States), which effectively established a control system that would respond to the growing number of CBRN related threats in the region. To further establish a National Control System for the CBRN environment, calculation and analytical stations (RAST) were placed in each regional command post; the stations were responsible for constantly analyzing the threat situation in their assigned zone. Within military units, СBRN observation troops were deployed from the CBRN reconnaissance units. Receiving background information on radiological, chemical and biological incidents, not only from military units, but also from the civilian systems of the Committee for Emergency Situations, Health and other structures, allowed the command to provide more accurate information on the current situation. After the accident at the nuclear power plant at Fukushima-1 in Japan, the RAST system was heighted to “Combat” level, and monitored the radiation levels in the affected region. The CBRN system of Kazakhstan’s response to the Fukushima nuclear disaster showed the heightened strategy level of the unit; it can be seen that the professionalism of the troops is dependent on the training of the personnel, intake of new weapons systems, and technologically advanced devices. In response to this observation, CBRN specialists for conscripts and contract personnel were trained in the training center at the central CBRN military unit. Before Kazkhstan’s independence, CBRN tactical commanders were trained at the Military CBRN Academy in Russia. The departure from Russia’s insufficiently equipped armament, as well as low level of trained specialists, led to a more independent approach of teaching and training new cadets. Before this change occurred, cadets studied at a special faculty with only limited training programs and no access to free education materials. Now, in 2017, Kazakhstan opened a training facility to educate and equip CBRN officers with the skills and knowledge necessary to successfully combat CBRN threats. Despite these efforts, officers at the operational level are still trained at the Military CBRN Academy in Russia. In order to further improve their qualification level, several CBRN officers are trained in English and attend additional CBRN training in Oberammergau and Sonthofen, Germany. Since 2008, after the reconstruction of the troops system, the challenge of rearming CBRN units has been a challenge. 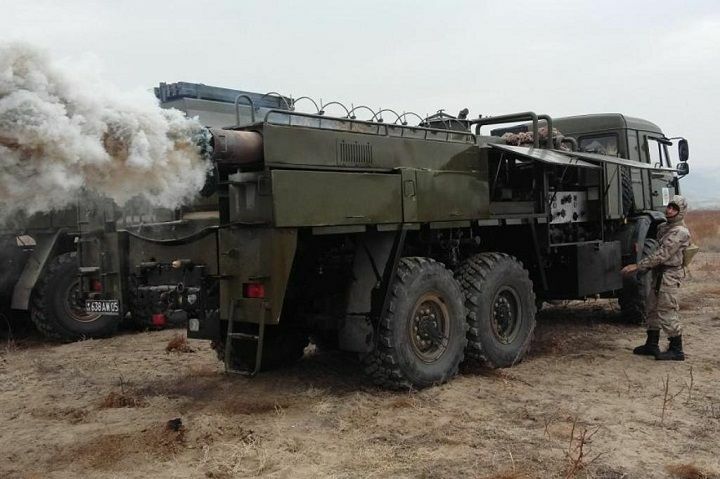 Attempts to buy advanced CBRN weapons in Russia have failed due to their inability to offer up-to-date technology and weaponry; the only equipment that military forces bought were heavy flamethrower systems called the “TOS-1A Solntsepek.” In Kazakhstan, there are sparse numbers of foreign firms that produce CBRN products. In many instances, the firm’s representatives are unable to answer the complexity of a developing CBRN environment. As far as instruments of chemical and biological prospecting, the means of protection and decontamination are much more difficult. Due to these difficult circumstances, chemical reconnaissance devices were delivered to Kazakhstan mainly from Proengin and Bruker. Single military sales are owned by Nexter, Flir, and Smith Detection. However, these same companies are the leading suppliers for other countries. Protective equipment mainly supplies Bluher and Ouvry. 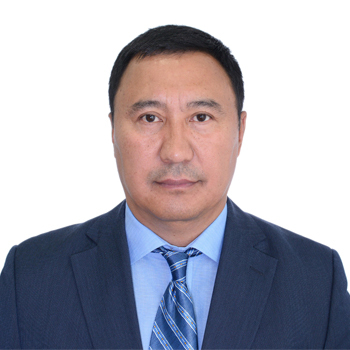 In 2018 representatives of Paul Boye, OWR GmbH and Environics started working in Kazakhstan. At factories in Kazakhstan, ARS-14kz decontamination stations are produced, which are analogues of special decontamination stations of Russia. Consequently, in view of the absence of general military and technical policy in Kazakhstan among state structures, as well as the lack of modern CBRN means of the Russia, the market of Kazakhstan and Central Asia is open for the leading companies. Bitebayev Tanash, was born on January 14, 1966. In 1988, he graduated from the Tambov Higher Military Command School of Chemical Protection, in 2001 - the Military CBRN Academy (Moscow), in 2012 - the Academy of the General Staff of Russia. He passed military inure from the platoon squad officer to the commander of the CBRN brigade, from the head of the CBRN service of a tank regiment to the head of the СBRN troops of the Republic of Kazakhstan. For the past five years, he commanded the Main Directorate of Special Forces of the Ministry of Defense of the Republic of Kazakhstan (engineering troops, СBRN troops, topographic troops and a hydrometeorological service).The first among the specialists of CBRN awarded the Order of "Aibyn" ("Valor"), has more than 20 medals.